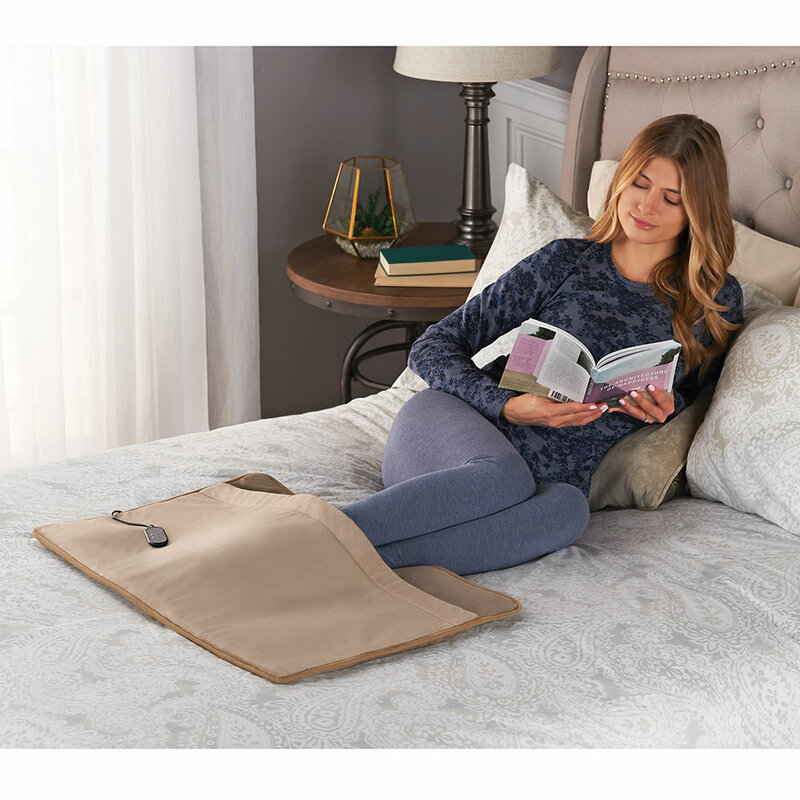 Developed exclusively for Hammacher Schlemmer, this is the electric vibration warmer that keeps toes toasty and relaxed without overheating the rest of the body. 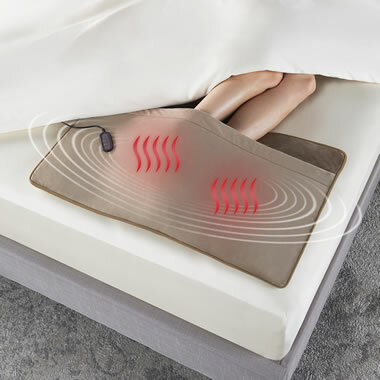 Rather than heating the entire bed with a conventional electric blanket when only the feet are chilled, this sensibly sized warmer confines heat to the lower part of the mattress, then adds the option of soothing massage. Made from micro-plus fibers, the warmer has a tethered remote that allows you to control the two temperature settings and three levels of massage separately or together. Automatic shut off after 30 minutes. Can be used on top of or under light covers. Spot clean. AC plug with 9' cord. 311/2" x 193/4" x 1" D.
The Massaging Foot Of The Bed Warmer comes with The Hammacher Schlemmer Lifetime Guarantee. Items that we sell are guaranteed for their normal life under standard non-commercial use.